OK team, earlier this week I wrote an entry, HERE, addressing the fact that councilman (and council candidate) Gary Monahan and somebody named Kent Mora submitted virtually identical commentaries to the Daily Pilot several weeks apart - and the Daily Pilot missed the similarities and published both of them. I wondered whether this represented an overt act of plagiarism or what? Simultaneously, Mora and I engaged in a comment thread on my recent commentary in the Daily Pilot, HERE, in which, after awhile, I invited him to contact me privately to set the record straight. Eventually he did, but only after I reminded him that, without a proper explanation, he would be saddled with the reputation as an unrepentant plagiarist and folks would certainly be less willing to listen to his position on issues as a result. Plus, Monahan would probably be viewed as a co-conspirator. Once Mora provided me with an explanation I needed to confirm it with Monahan because he was a party in this little drama. He and I are not on the best of terms these days - big surprise there - so getting him to reply to my inquiry took the intervention of others. Eventually, after swapping a couple emails, he did confirm Mora's version of events. So, here's what apparently happened. Mora assisted Monahan with the composition of the original commentary submitted to the Daily Pilot, HERE. This is no big deal - many people, especially politicians, get help from others crafting messages they wish to send to the populace. Mora apparently then left town and Monahan submitted the item for publication. Mora tells me that upon his return, not knowing that Monahan had already submitted the item and it had been published under his byline, pulled up his copy of the essay, tinkered around with it a little, then sent it to the Daily Pilot for publication under HIS byline. That one is HERE. So, apparently what we have here is NOT an act of overt plagiarism. Mora is off the hook in that regard. Nor was it a conspiratorial plot to publish the same message twice by Monahan and Mora. It was a breakdown in communication - twice. The first mistake was between Monahan and Mora. Without that one the second mistake - in the process within the Daily Pilot - wouldn't have occurred. In this case, two wrongs made... TWO WRONGS! The end result is that Monahan's campaign message in the form of that commentary now lingers in the archives under two separate authors. According to folks at the Daily Pilot, both will remain in the archives. I'm OK with that because, quite frankly, neither version was very persuasive. Will this change the way I feel about Monahan's candidacy? Nope. Even though he eventually gave me enough information to correct the record, I still will NOT support his candidacy for city council. While I'm grateful to him for his public service - more time on the city council than anyone else in my memory - he has stayed too long at the dance. He seems to be just too busy elsewhere to give proper attention to the responsibilities of the office, which he acknowledged when he stepped down as Mayor earlier this year. He's got a large family that, understandably, requires a lot of attention and a business that has seen better times. Heck, he even stayed at his bar to pour beer for patrons on St. Patrick's Day, 2011 when the tragedy at City Hall required his presence. Those of us who pay attention to council activities have seen a very distracted Gary Monahan over the past couple years. It's time to make a change. Thanks for your service, Gary, but you won't be getting my vote this time. Thanks for clearing this up, Geoff. the info on what happened. That took some very good persuading from you. Kent does not reveal much about himself to anyone. You are such a nice man Geoff. The fact that you took the time to allow these guys to set the record straight. Very glad we have you to report on the news in Costa Mesa. Thanks. OK, so not plagiarism, just mutual shilling. Gary comes up SHORT in so many different ways regardless. Tomorrow: Riggy lets Kent whitewash his fence. Speaking of Kent Mora... He commented on the Daily Pilot Mailbag about John Stephens commentary on Chief Arnolds restructuring plan for the FD. He added a couple of really uninformed 'questions' about response times and billing for medic ambulance transport and his concerns that more study needs to be done. I commented on his comments and said that in my opinion, as usual he was clueless. There was no name calling I didn't question his ancestry or use any bad words (unless clueless is a forbidden word). It posted under my Facebook name and then was... removed. I see that there is a little x box that can be clicked to target "abuse" and have something removed. I have to come to the conclusion that Mr Mora doesn't approve of somebody pointing out that he doesn't know what he's talking about and the Pilot apparently gives him the censorship button to take care of it. I guess the bigger question is... does anybody on that side actually/honestly know anything? OH MY GOD. You wrote this as if you were actually considering voting for Monahan. This puffery you wrote... wow. I wouldn't vote for Gary if he was the ONLY choice on the ballot. Mr. Mora is a fake, he is someone who simply follows what others have said and done before. Anything that this man says, does or writes should be checked and rechecked. Admittedly I scan as much as I can, but on a re-read, I still say the same thing. In the para, the 1st or 2nd sentence conveys as if you actually considered voting for him due to some presumed honesty regarding the main topic of the post. Not two "gaffes"...two goofs. What a couple of dorks. And, I'm sorry the DP explanation of shared "passages" was complete and utter BS. It was the same document, period. boy, glad we got that cleared up. it was hanging over the whole city and everything seemed to just freeze while we all wondered about this. Now that this MAJOR event has been cleared up we can get back to business. God Bless Wendy. James, don't think so... Geez! Oscar, the documents were "nearly" identical - but not completely. Close enough that the differences could have been editorial differences. I'm satisfied with the explanation I got. I agree with Oscar. Mora is like your kid getting caught doing something wrong and comes up with this lame excuse. Geoff I am shocked you bought this. If Mora helped Monahan write this then I am pretty sure they agreed on who was to submit it and who was to get credit. It's a lame excuse and most likely a lie. They both took credit and both submitted. When you help someone write something you you don't submit the piece under your name. Plus the excuse Mora was on vacation is laughable and thus he didn't know it was submitted. You can easily check Mr Mora made many comments to Daily Pilot articles on Sept. 18, 20, 25th. Sorry Geoff but I don't buy Mora's lies. He may have been on vacation and he may have helped write this making not a plagiarizer but his comment he didn't know Monahan submitted this because he was on vacation so he submitted it is ridiculous. As we can see if he was on vacation he still kept up with the Pilot and even commented on another issue on Sept 18th the day Monahansiece came out. Love the picture of the two evil UNION THUGS serving chili at that cook off event in the Daily Pilot. Had I been there I would have gone up to them and apologized for the way they have been portrayed the last few years. Aren't those two of the same evil UNION THUGS who 2 maybe 3 years ago now approved of a 2nd Tier and offered to pay their FULL share of their retirement. Wow those are 2 pretty evil fellows in that picture. My heart goes out to our city employees trying to do the right thing all along. Just tell the truth: you are spot on and your mother raised you right. don't let this story fade away. Everyone must know the truth and who knows better than you? Shirley not the authors (Airplane)of the columns. YOU and you alone know the truth. Stay on this story, do some more background checking (if he was on vacation he must have some receipts to show he was out of town, if he can't produce he is guilty of lying) Perhaps Foley can file a lawsuit but it probably can't be settled by election time but we all know if you are sued you are guilty because we have a "legal opinion "(Foley's) that you are! Nuff sed. Get on this fast and expose them. This is HUGE. Pulitzer in your future perhaps. Wendy is the bestest. She is hoping to be Mayor and it is all up to Weitzberg winning. oh oh. Agree. The people in the Righeimer gang lie. Each day, more and more people see through them and their whiny, Richard Simmons voice, little leader. Mora's just another shill. We'll remember this boys and girls, long after Riggy is gone. When you don't get that listing, job, sale, deal, customer, etc. 5-6 years from now, you can thank a loyal Costa Mesan. Eric Bever is termed out and running for a seat on the Mesa Consolidated Water Board. He is running against the current incumbent President Fred Bockmiller (http://www.fredbockmiller.com/). Bockmiller is the Facilities director at UCI and has overseen water and drainage projects that have resulted in billions of infrastructure upgrades. His knowledge and experience are unparalleled. Insiders from the Costa Mesa political machine have basically made a stand to have Bever take the place of Bockmiller on the Water board. Bever is an antique dealer. The reason stated in whispers is that Eric NEEDS the medical for a bad back and if he is termed out he will lose his medical insurance. The justification is that Bockmiller can get insurance through the College so he is expendable. Ironic, isn’t? The Mayor is running for another elected position for the government provided health insurance but before he leaves he attacks charities that provide health insurance for those that need it. Costa Mesa needs to drain this swamp……. If anyone was unsure about the OCGOP plan for Costa Mesa, this should cement it in their minds. "Righeimer's team". unionquiltersforleece, the truth is and the facts are both writers submitted the basic same piece to an official news outlet. You can try all you want to decieve about the truth. The authors can say anything they want but the facts again are they both submitted this piece under their own names. This doesn't pass the test. I don't care if Mora was on vacation or not, that is not the real issue. He was staying up on the issues a proven by his comments to the Pilot. Being on vacation as the excuse was used to say he was out of reach, touch or whatever. Yet when you check the truh is Mr. Mora was checking and commenting on the issues of the day. Also if Mora helped Monahhan write this as I stated they know who was supposed to get the credit and submit it under who's name. Again you know this but your idealogy causes you to be deceitful about it. So the excuse doesn't hold water. The entire premise doesn't even make sense. Again I don't expect the truth from someone such as yourself. I pointed out the flaws in this and apparently you see validity so you responded with some lame distraction. Typical. As far as keeping it alive sorry but I was out of town recently and couldn't comment on it. LOL! Just read another of Jack Wu's ridiculous pieces. Everyone should remember Mr. Wu is the arrogant and rude "Feet to the Fire" questioner. He pontificates and makes political commentary instead of just asking questions. When the crowd showed it's disaproval he, in his smug arrogant little character, blew them a kiss. This guy really is just a little man remimding me of that other little charter supporter out of towner Kevin Dayton. If you read Barbara Venezia's column you'll notice she specifically calls out Wu on pontificating and warns him for the next forum. But to the point of his ridiculous piece. The hypocrisy of this charter. Don't people realize why this charter was born? This charter was born because we can't trust COUNCILS. According to Righeimer and the charter supporters councils get bought and paid for their votes. This charter has life because it wants to take away power from the council because they can't be trusted. Oh wait...only on the issues they want to cherry pick. Yet most of the actual charter gives council, who remember we can't trust when money is involved, much much more power. It doesn't make any sense. Yes voters vote for the council. But that's somewhat of a misnomer. Voters also voted for the previous councils we couldn't trust who approved the high pensions too. Now we have a vote on a charter born because we can't trust COUNCILS but the charter we are voting on if approved gives councils who we can't trust say on more issues than before. The whole thing is so hypocritical. So the Daily Pilot gives Jack Wu a forum to write subtle lies about Stephens, Weitzberg and Genis. Jack Wu can't be serious. Here is one outrageous lie from Wu. "So on one side of the council we have the doers; on the other, the watchers." Sandy Genis is anything but a Watcher. Both Stevens and Weitzberg, well their successes should say to everyone these guys are not watchers. Just a BIG FAT LIE to try and paint them as watchers. But I guess we should expect nothing less from Wu. Just the fact that they all have stepped up to do this says they are not watchers. That also doesn't even touch on how they already said they would do things. Wu purposely tries to decieve people into thinking those who feel studying and issue before taking action means they are watchers and for that he is a complete fake. 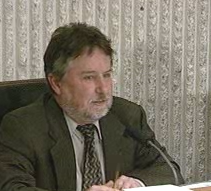 @ just wondering--Bever wants a seat on the Water District for medical coverage just like Gary Monasham needs a Council seat for the nearly two grand a month they get for medical coverage.Gary doesn't want to be a member of this City Council, but he needs the insurance for his large family, and his dive bar doesn't cover it. Don't vote for either of these sell outs. Just tell the truth - there is a lot of hypocrisy. The CMTax folks and other supporters cry fear factics and name calling. Yet if you read their comments that's about all they do. They try to attach everyone to their bogeyman the UNION. I have also read some derogatory remarks from them that are embarrassing and shameful. Fitzpatrick is one of the worst. Freeway: *HA* Don't you worry about that!!!! "jw": thanks for the info on OCGOP endorsing Eric. We vote for who they endorse so this is good. In our voters guide from County we saw nothing from Bever in it, just from his opponent. Good to know who was endorsed. Thanks again Teri, I mean Jw. Really robutt? You'd vote for someone just so they could keep their health insurance, bilking the city out of all that money in health insurance premiums? Really? Talk about hypocrisy! Bever isn't qualified for dog catcher let alone the water district. He's just part of Nero's union. What's wrong with you people? Do you ever think for yourselves? Make decisions for yourselves based on right and wrong? No because you just admitted that you just do what the ocgop tells you to do. Keep on drinking that ocgop pied piper koolaid. And while it's turning your brains into blind, numb, party-line following rocks, we the citizens of CM will vote in true representatives of our city and us! We are sick and tired of the way you people treat our city and us; we don't want you people having any more political power in our city. We don't want this one man's "charter" and we are done with you people trying to foist it on us. In the Bever's very own words (of distain, disgust, and disrespect to the citizens of CM at a recent cc meeting), and a strong sentiment of the citizens of CM, "GO HOME!"